CELTA courses Houston, Texas offered by StudyCELTA. CELTA is the most highly recognised TEFL course worldwide by employers. CELTA courses Portland, Oregon offered by StudyCELTA. CELTA is the most highly recognised TEFL course worldwide by employers. CELTA courses Atlanta, Georgia offered by StudyCELTA. CELTA is the most highly recognised TEFL course worldwide by employers. CELTA courses Odessa, Ukraine offered by StudyCELTA. The Cambridge CELTA is the most recognised TEFL course worldwide by employers. CELTA courses Santiago de Compostela, Spain offered by StudyCELTA. The Cambridge CELTA is the most recognised TEFL course worldwide by employers. CELTA courses Gurugram, India offered by StudyCELTA. CELTA is the most highly recognised TEFL course worldwide by employers. CELTA courses Krakow, Poland offered by StudyCELTA. The Cambridge CELTA is the most highly recognised TEFL course worldwide by employers. 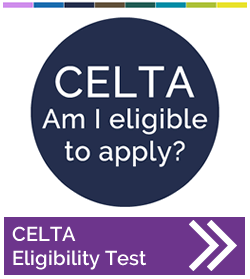 CELTA courses Aberdeen, United Kingdom offered by StudyCELTA. CELTA is the most highly recognised TEFL course worldwide by employers.